SIENA: SIENA BY NIGHT... DOES IT EXIST? 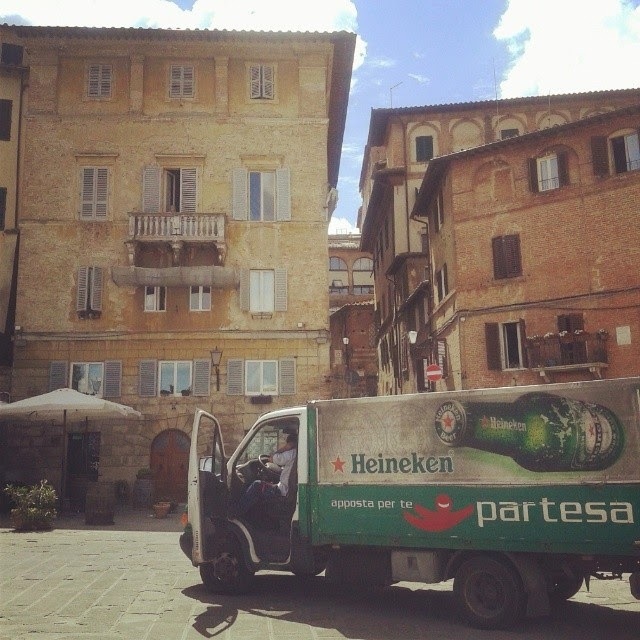 A frenetic nightlife isn't the first thing that comes to mind when thinking of Palio town. When it comes to going out, Siena reminds one more of a sleeping beauty than of European university cities of comparable size. Nevertheless, after some scouting around, you'll find there is more to Siena's nightlife than warm summer evenings spent on piazza del Campo. With contemporary design in a medieval space, wine bar and music club Un Tubo is the latest add-on to Siena's party scene. Owned by famous restaurant Le Logge, Un Tubo holds a weekly jam session on Tuesday nights and a couple of mostly jazzy concerts trough the rest of the month (many of them organized with the collaboration of Siena's Jazz Foundation). The sophisticated setting is reflected in the club's upscale prices, but the ambiance and the wine cellar carved into tufo stone make up for it. Un Tubo has been tastefully restored by Siena architect Marco Pignattai, and exhibitions and gallery events are hold all through the year. Concerts are normally for free (but you're obviously expected to have a couple of drinks). Around the corner from Un Tubo is via Pantaneto, Siena's Picadilly Circus when it comes to nightlife. The Bella Vista Social Pub and a couple of other bars can be found along this road. Some of them have life music once or twice a week. You can also find take away pizza and a Kebab stall along the road, in case you're desperate for a late night eat. Coming from piazza del Campo, one of my favorite bars is right at the beginning of Via Pantaneto (a bit further down from the Replay store). Called Caffè Le Logge, because of its vicinity to Le Logge del Papa, the bar has recently been reopened. The friendly owner speaks good English and has tastefully refurbished the whole bar all the way to the toilet. If you continue from Via Pantaneto down onto via Roma, you'll arrive at Corte dei Miracoli (close to Porta Romana - the Roman city gates). This no-profit cultural association organizes dancing and language lessons, but also concerts and DJ sets during most weekends from autumn to spring. Any other disco dancing isn't happening in Siena, but - similarly to many other Italian cities - in the countryside nearby. Papillon in Monteroni d'Arbia and Musik in Rosia are the places where my Tuscan native danced off his youth whilst meeting some of his former girlfriends. In fact, you'll want to stay away from Italy's countryside discos, unless you still haven't reached your mid twenties. Bar Tea Room is a further option for going out in the medieval heart of the town. A favorite hang-out for Siena's university students the bar can be found on the back side of piazza del Campo and Palazzo Pubblico, just below the stairs that leave piazza del Mercato. In line with its name it has a wide selection of teas from all around the world - not an easy thing to come by in Tuscany. 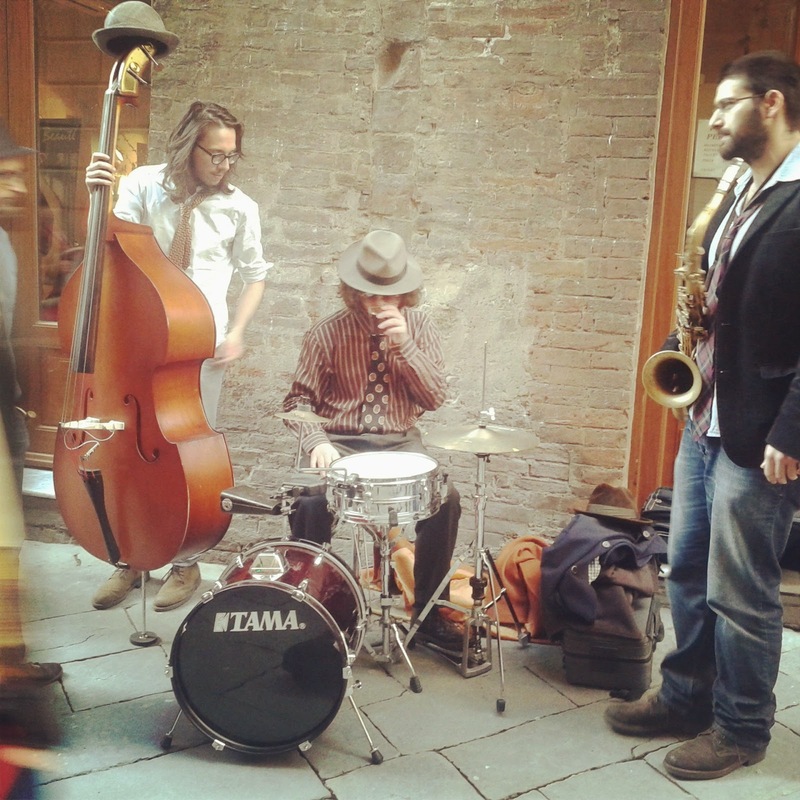 Cacio & Pere (via dei Termini, 70) is another great address for live music in Palio town. Several times a month gigs are organized, which range from etno punk to folk music. Most concerts for free and drinks are a little cheaper than at Un Tubo. Hard to miss is Caffè Centrale on Siena's main shopping road (via Banchi di Sopra). On weekends, American summer students make their off-key singing of the latest top of the pops heard - and al fresco dining a nightmare in the restaurant next door. La Favorita is a stylish bar close to the fortress and stadio parking, that turns itself into a small disco on selected nights of the month. Check its facebook page for updates on special aperitif nights with buffet and DJ sets. Siena's Enoteca Italiana (Italian wine bar) is set in the impressive bastions of the Medici fortress and has outside seating in summer. Similar to Un Tubo this is a place for people who want to drink in style. The wine bar can feel a bit desolate a times, but once a week things get busy during Vintage aperitivo, a sort of happy hour with buffet, life music and DJ set on Tuesday nights. Siena also has an Irish pub or two (you may have already noticed the one opposite Siena's main bus stop in piazza Gramsci). However if in Siena do as the Sienese do and taste one of Tuscany's fabulous artisan beers - instead of complaining that Guiness doesn't taste good in Italy. Birreria Diana runs a microbrewery a bit out of town and a beautiful pub in via Stufasecca, 1 close to Siena's main shopping mile. Start off with their own Tuscan golden ale (produced with barley grown by the owners in the area) and then taste your way up and down the boot in the tracks of Italy's growing number of artisan breweries. If you get by with a little Italian, Sienese magazine Il Parere has an updated agenda on the daily happenings in town. Once you browse the listings of aperitifs, concerts, exhibitions and dinners in Siena's contrade (neighborhoods), you'll feel like the town may be on its way to awakening again. A couple of times a year, Siena used to turn up the volume and host pop concerts on its famous medieval squares. Listening for free to Patty Smith on piazza del Campo may not happen again (considering the city's financial turmoil), but Siena and Stars is a new (albeit more costly) summer festival on piazza del Duomo that may make up for it. is obviously happening during the days of the Palio horse race (each year on the 2nd of July and the 16th of August). The up-beat atmosphere and mad frenzy in town during the weeks of the horse race, will make you understand why Siena can seem a little sleepy during the rest of the year. FOR EXACT LOCATION of the above mentioned bars and pubs check the Nightlife in Siena map below.